The Uttar Pradesh Technical University's Noida campus will start offering M.Tech programmes from next academic session, university chancellor R K Khandal said on Thursday. Khandal visited the campus with senior university officials and inaugurated a Centre for Excellence, an Intel driven initiative. 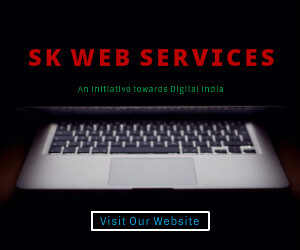 The Centre's aim is to update students and faculty members with current developments in academe. Khandal said the idea is to develop the Noida campus into a well-equipped centre, available to students and faculty members, 24X7. "We have decided to establish two academic centres here - Institute of Design and Technology and Institute of Employability and Skills Development. The first institute will offer M.Tech programmes in design, and the second one will offer a short-term industry oriented programme," he said. Unlike other academic programmes, the M.Tech programmes here will be industry oriented, drawing faculty members from both the industry, and the academia, in a 60:40 ratio. University officials said that in the Noida campus, students and researchers will find all facilities to do research. The university has also launched a teaching 'fellow programme' where research scholars enrolled for Ph.D will be given the opportunity to teach in government colleges. The candidates will have to appear in interview and tests for this. 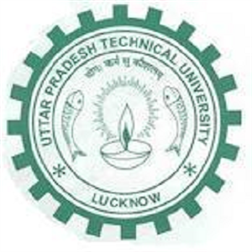 The Uttar Pradesh Technical University's Noida campus will start offering M-Tech programmes from next academic session, said the university vice chancellor, Dr R K Khandal on Thursday. Khandal, who visited the campus with some senior officials of university, inaugurated a Centre for Excellence, an Intel embedded initiative at the Campus. The Centre is aimed to update students and faculty members with current development in academia and industry. Khandal said that the idea is to develop Noida campus as a centre of excellence by making it well-equipped and available 24X7 for students and faculty members. "We have decided to establish here two academic centres - Institute of Design and Technology and Institute of Employability and Skills Development. The first Institute will offer M-Tech programmes in design while the second one will offer short-term industry oriented programme from next academic session," Khandal said. The Institute will offer M.Tech programmes in some specialized fields of technology and design. Khandal said that the programmes are being discussed and they are under process of finalization. Interestingly, unlike other academic programmes, the M.Tech programmes at the Noida campus will be more of industry-oriented drawing faculties from industry and academia with a ratio of 60:40. University officials said that Noida campus will be developed as an academic hub where students and researchers will find all facilities to do research and innovative in the field of technology. The University has also launched a teaching fellow programme where research scholars enrolled for Ph.D in UPTU will be given opportunity to teach in government colleges and they will be paid salary on the scale of assistant professor. However, the candidates will have to appear in interview and tests for this. Meanwhile, Thursday's programme was attended by over 100 students and faculty members of different colleges and institutes affiliated to UPTU.